Butter Chicken – the sweet and spicy Indian Chicken dish with thick, red colored tomato gravy, used to be my favorite Chicken Dish. We never used to make Butter Chicken at home but it was one of the dishes which we ordered at every restaurant along with Naan, Kulcha or Roti. 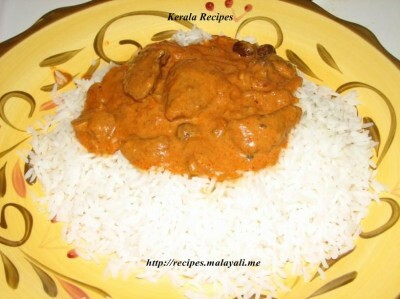 Butter Chicken or Murgh Makhani is a North Indian dish and is famous all over India. 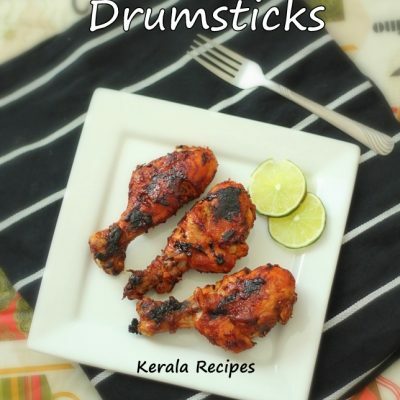 Chicken pieces (with or without bones) are marinated overnight in a yogurt and spice mixture usually including garam masala, ginger-garlic paste, lemon or lime, pepper, coriander, cumin, turmeric and chili. The chicken is then grilled, roasted or pan fried, depending on convenience. Makhani, the thick red sauce, is made by heating and mixing butter, tomato puree, fresh cream and various spices like cloves, cinnamon, cardamom and so on. Cashew nut paste can also be added to make the gravy thicker. 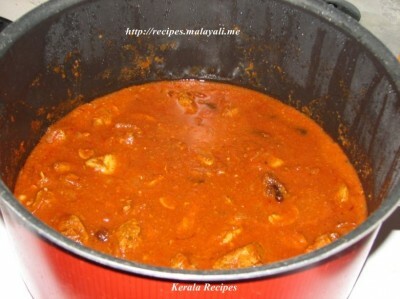 I wanted to try Butter Chicken (Chicken Makhani) for our 1st Wedding Anniversary Party. So I began going through numerous recipes in books and online. I couldn’t make myself to try any one recipe. So I used a combination of different recipes and it came out pretty good. My hubby liked it a lot and so did the Guests who came for the party. 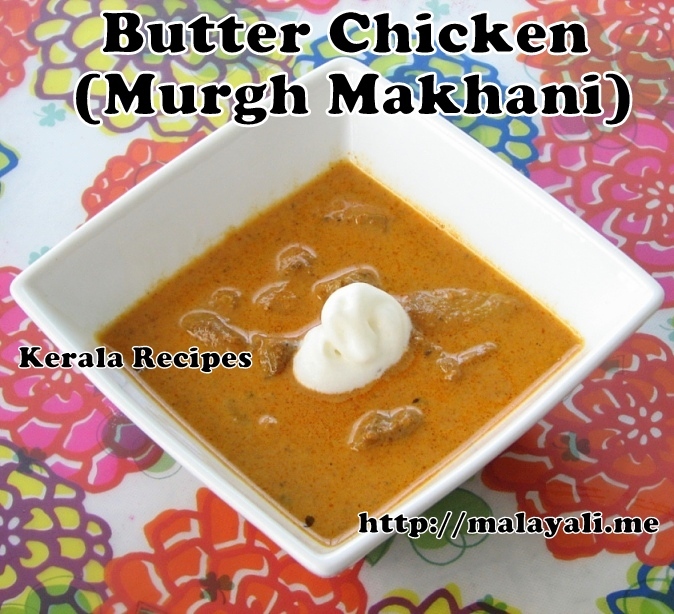 Here is my recipe for Butter Chicken or Murgh Makhani. Make a marinade using the above ingredients. Marinate the chicken pieces and refrigerate it overnight. Soak 1/4 cup cashews in warm water. Apply oil on a baking dish and bake the chicken pieces at 400 degree F for 30 – 35 minutes turning once in between. Alternatively, you can pan fry the chicken pieces in oil. Meanwhile make tomato puree using 3 big tomatoes. Here is the recipe for making tomato puree. 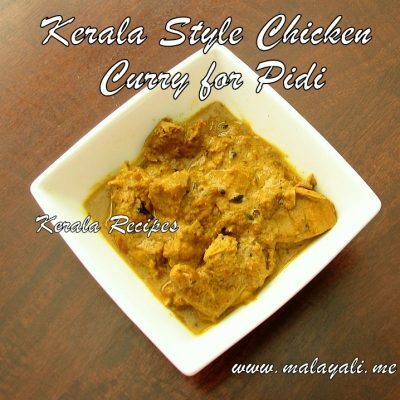 Melt 2 tbsp butter in a big pan or kadai. Saute onions and green chillies till the onions begin to brown. Allow it to cool and blend it to a paste. If using cashews, grind it along with the onions. To the same pan, add 2 tbsp butter. Splutter fennel seeds. Saute cinnamon, cardamom, star anise, cloves and Bay Leaves for 2 minutes. Next, add the cashew nuts and raisins and fry till the cashews begin to brown and the raisins become plump. Add 1 tbsp kashmiri chilly powder, 1 tbsp ginger garlic paste, 1 tsp garam masala powder and saute for a minute. Add the Onion – Green Chilly paste and saute for a few minutes. Add tomato puree along with salt and simmer for 5 minutes on medium flame. Add the roasted chicken pieces and simmer for 8-10 minutes on medium flame. Reduce heat, add fresh whipping cream and stir for 2 minutes. Remove from flame and allow it to cool slightly. Serve with Naan, Roti, Kulcha, Fried Rice etc. 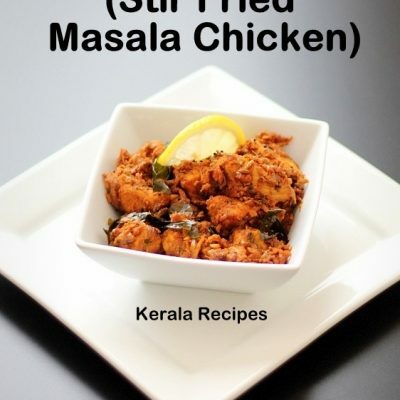 You can use any store bought chicken Masala Powder. Brands like Eastern, Saras, Melam, Priyom, Niraprara etc. are good. 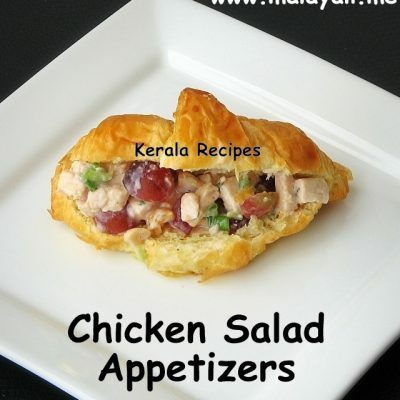 It is better to use Chicken Thighs for this recipe as the thighs retain their softness after cooking. Is there a substitute for heave whipping cream or can it be avoided if one is diet concious? Thanks for the wonderful recipe. The gravy may be a little less thicker but the taste will remain the same. So go ahead and give it a try. 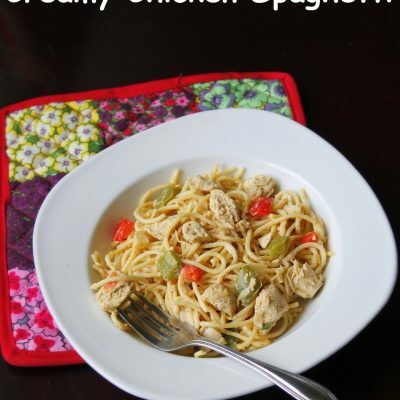 You can easily serve 6 people with this recipe. Whenever I use tomatoes in a recipe, the sour taste stands out and spoils the whole taste of the recipe. Will 3 tomatoes give the same sour taste cause butter chicken should be little sweet right? Please use ripe tomatoes – the nice red & juicy ones for this recipe. That way will bring out the sweetness instead of making the curry sour. Since we add sugar to butter chicken, that also helps in making it sweet.